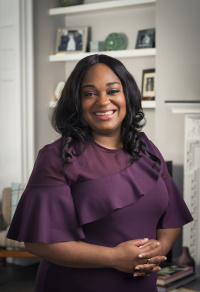 Shana has been a member of the Rokstone team since the company was started and has five years of property experience within Prime Central London. She has held multiple roles at Rokstone and now leads the sales team. Shana has a wealth of experience in all aspects of residential sales and thrives in challenging transactions. When she does have a spare moment, Shana also enjoys travelling, making jewellery and hosting fabulous dinner parties for friends and family.